The Antiproton Decelerator will see refurbishment work that will help its experiments to trap more antimatter than before. The Antiproton Decelerator (AD), sometimes known as the Antimatter Factory, is the world’s largest source of antimatter and has been operational since 2000. Here, antiprotons are slowed down and sent into the experiments, where they are combined with antielectrons to produce the most basic antiatom: that of antihydrogen. Over the course of the second long shutdown of CERN’s accelerator complex (LS2), the AD will receive several enhancements as well as repairs and refurbishments. The recently installed ELENA ring, which was commissioned over 2017 and 2018, is designed to slow down even further the antiprotons decelerated by AD to ensure that the experiments can trap up to 100 times more antiprotons than they could without it. At the moment, ELENA is only connected to one of the experiments within the AD hall, the new GBAR experiment. The main work being done on the AD during the next two years is to extend the beam line from ELENA to all of the existing experiments and get ELENA fully operational. The lines that took the particles from the AD to the experiments have now been fully dismantled to prepare for the new injection lines from ELENA. Other planned and ongoing activities involve the AD’s 84 magnets, which focus and steer the whizzing antiprotons along their racetrack. Most of these magnets were recycled from previous accelerator facilities and are much older than the AD itself. They are in need of repairs and refurbishment, which started during the previous long shutdown (LS1) and was pursued during subsequent year-end technical stops (YETS). So far, nine of the magnets have been treated, and 20 of them are scheduled for treatment during LS2. The remaining magnets will either be treated in situ or will undergo refurbishment during the next YETS and the third long shutdown (LS3). Removing the magnets to take them to the treatment facility is no easy task. The AD ring is encased in a large shielding tunnel made of concrete blocks. Therefore, the blocks making up the ceiling near the magnet in question have to first be removed and stored, allowing a crane to descend though the opening and extract the magnet (which weighs up to 26 tonnes), sometimes with a margin of only 1 cm. Related work is being done to consolidate other elements of the AD, such as the kicker magnets, the septa magnets and the radiofrequency cavities. One of the main tasks of LS2 that has already been achieved was the installation of a new cooling pump for the AD. Previously, a single set of pumps were operated, connected to both the AD itself and to its experiments. This meant that the pumping system was operational year round next to the AD ring, producing a constant noise at over 100 decibels in some places. The new dedicated pump allows the main pumping group to be turned off without affecting the experiments’ cooling systems, saving money and improving working conditions for those who need to be in close proximity to the AD over the shutdown period. It also provides much-needed redundancy to the cooling circuits. By the end of LS2, the AD hall will look very different from what it does today, but the changes are not merely superficial. They will ensure that CERN’s antimatter factory continues to operate with high efficiency and help explore the mysteries surrounding elusive antimatter. The experiment, which will complement existing searches for dark matter at the LHC, will be operational in 2021. Today, the CERN Research Board approved a new experiment designed to look for light and weakly interacting particles at the LHC. 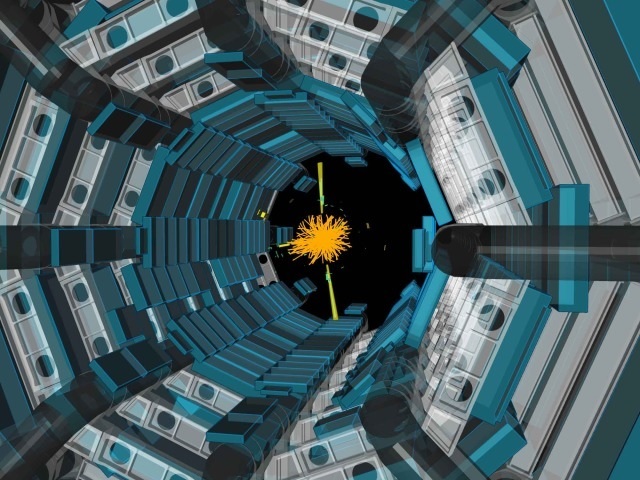 FASER, or the Forward Search Experiment, will complement CERN’s ongoing physics programme, extending its discovery potential to several new particles. Some of these sought-after particles are associated with dark matter, which is a hypothesised kind of matter that does not interact with the electromagnetic force and consequently cannot be directly detected using emitted light. Astrophysical evidence shows that dark matter makes up about 27% of the universe, but it has never been observed and studied in a laboratory. Thirty years ago, a young computer expert working at CERN combined ideas about accessing information with a desire for broad connectivity and openness. His proposal became the World Wide Web. CERN is celebrating the 30th anniversary of this revolutionary invention with a special day on 12 March. On 30 April 1993, CERN released the latest version of the WWW software into the public domain and made it freely available for anyone to use and improve. This decision encouraged the use of the Web, and society to benefit from it: half of the world’s population is now online, and close to 2 billion websites exist. Openness has been endemic to CERN’s culture ever since its Convention was signed in 1953. 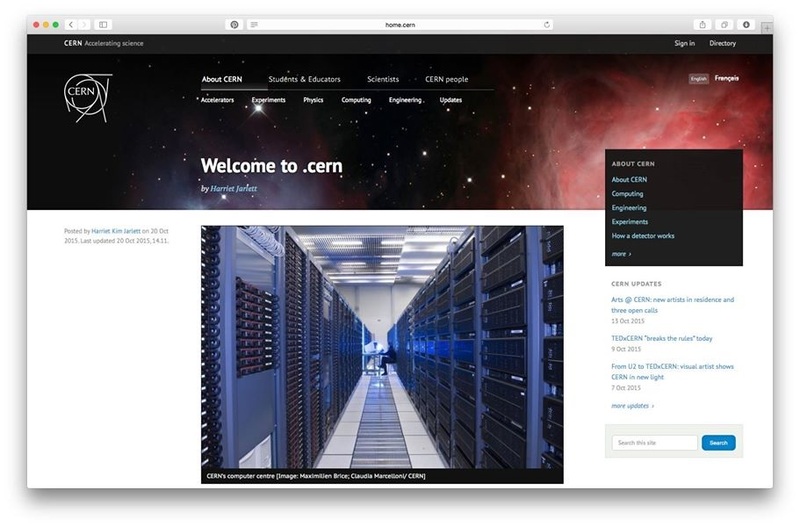 CERN promotes the distribution and open sharing of software, technology, publications and data, through initiatives such as open source software, open hardware, open access publishing and the CERN Open Data Portal. On the morning of 12 March, the Web@30 event at CERN will kick off celebrations around the world. Sir Tim Berners-Lee, Robert Cailliau and other Web pioneers and experts will share their views on the challenges and opportunities brought by the Web. The event will be opened by Fabiola Gianotti, CERN’s Director-General, and is being organised by CERN in collaboration with two organisations founded by Berners-Lee: the World Wide Web Foundation and the World Wide Web Consortium (W3C). As part of a project to preserve some of the digital assets associated with the birth of the Web, CERN organised a hackathon (11-15 February 2019) to recreate the first browser (WorldWideWeb) using current technology. 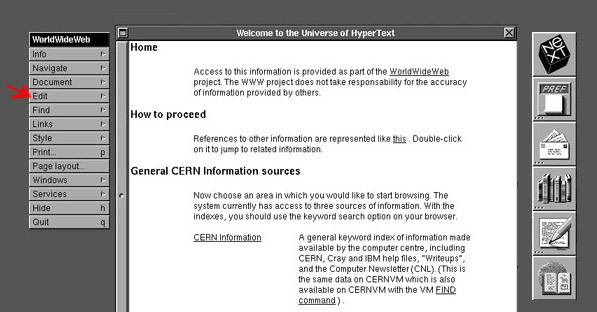 Previously, CERN promoted the restoration of the first ever website and the line-mode browser. We have a limited number of seats available for the media; interested journalists should RSVP (press@cern.ch) by 6 March 2019. The event will be broadcast by EBU, webcast and streamed live on CERN Facebook and YouTube channels. Some of the speakers and current members of CERN’s IT department – home to the Worldwide LHC Computing Grid (WLCG) – are available for interviews prior to the event. For more information, please contact press@cern.ch. Sir Timothy John Berners-Lee, OM KBE FRS FREng FRSA FBCS (born 8 June 1955), also known as TimBL, is an English engineer and computer scientist, best known as the inventor of the World Wide Web. He is currently a professor of computer science at the University of Oxford and the Massachusetts Institute of Technology (MIT). He made a proposal for an information management system in March 1989, and he implemented the first successful communication between a Hypertext Transfer Protocol (HTTP) client and server via the internet in mid-November the same year. In 2004, Berners-Lee was knighted by Queen Elizabeth II for his pioneering work. In April 2009, he was elected a foreign associate of the United States National Academy of Sciences. Named in Time magazine’s list of the 100 Most Important People of the 20th century, Berners-Lee has received a number of other accolades for his invention. He was honoured as the “Inventor of the World Wide Web” during the 2012 Summer Olympics opening ceremony, in which he appeared in person, working with a vintage NeXT Computer at the London Olympic Stadium. He tweeted “This is for everyone”, which instantly was spelled out in LCD lights attached to the chairs of the 80,000 people in the audience. Berners-Lee received the 2016 Turing Award “for inventing the World Wide Web, the first web browser, and the fundamental protocols and algorithms allowing the Web to scale”. Berners-Lee is currently an Advisor at social network MeWe. Sir Tim Berners-Lee’s WorldWideWeb browser is recreated as an app. A team at Switzerland-based research center CERN has rebuilt WorldWideWeb, the world’s first browser created in 1990 for its researchers. Earlier this month a group of developers and designers convened at CERN, or The European Organization for Nuclear Research, to rebuild WorldWideWeb in celebration of its 30th anniversary. The WorldWideWeb browser was built by Sir Tim Berners-Lee in 1990 on a NeXT machine, following his March 1989 proposal for a ‘Mesh’ or global hypertext system for CERN that he would later call the World Wide Web. The system aimed to address information loss that came with a high turnover and CERN’s constantly changing technology. This was an acute problem at CERN that Berners-Lee predicted the world would also face within the next decade. Besides the browser, Berners-Lee developed ‘httpd’, the first hypertext server software for serving up early webpages. The WorldWideWeb browser simulator is now available online to view in a modern browser. For anyone curious to know how to use it, the developers have provided written instructions and a video demo. Opening a webpage in the browser involves selecting ‘Document’ from the menu, then selecting ‘Open from full document reference’, and typing in a URL such as http://w3c.org. Once inside a document, navigation requires double-clicking links. The team who rebuilt Berners-Lee’s WorldWideWeb browser documented the five days they spent on the project. A key goal was to get the browser running on a NeXT cube machine they borrowed from CERN’s museum. The developers used the NeXT computer’s NeXTSTEP operating system to replicate the fonts used in the WordWideWeb browser, which were Helvetica, Courier, and Ohlfs. Part of the WorldWideWeb site includes a neat infographic of the web’s development since 1989 and key developments leading up to it, covering browsers, new HTML formats, key milestone websites, computers, networks, and formats. As noted by the WordWideWeb team, Berners-Lee’s browser was also designed to be an editor. “At its heart, WorldWideWeb is a word processor …but with links. And just as you can use a word processor purely for reading documents, the real fun comes when you write your own. Especially when you throw hyperlinks into the mix,” they explain. “Today it’s hard to imagine that web browsers might also be used to create webpages. It turned out that people were quite happy to write HTML by hand — something that Tim Berners-Lee and colleagues never expected. The WorldWideWeb browser simulator is now available online to view in a modern browser. In 2007, while studying archival data from the Parkes radio telescope in Australia, Duncan Lorimer and his student David Narkevic of West Virginia University in the US found a short, bright burst of radio waves. It turned out to be the first observation of a fast radio burst (FRB), and further studies revealed additional events in the Parkes data dating from 2001. The origin of several of these bursts, which were slightly different in nature, was later traced back to the microwave oven in the Parkes Observatory visitors centre. After discarding these events, however, a handful of real FRBs in the 2001 data remained, while more FRBs were being found in data from other radio telescopes. The cause of FRBs has puzzled astronomers for more than a decade. But dedicated searches under way at the Canadian Hydrogen Intensity Mapping Experiment (CHIME) and the Australian Square Kilometre Array Pathfinder (ASKAP) [above], among other activities, are intensifying the search for their origin. Recently, while still in its pre-commissioning phase, CHIME detected no less than 13 new FRBs – one of them classed as a “repeater” on account of its regular radio output – setting the field up for an exciting period of discovery. All FRBs have one thing in common: they last for a period of several milliseconds and have a relatively broad spectrum where the radio waves with the highest frequencies arrive first followed by those with lower frequencies. This dispersion feature is characteristic of radio waves travelling through a plasma in which free electrons delay lower frequencies more than the higher ones. Measuring the amount of dispersion thus gives an indication of the number of free electrons the pulse has traversed and therefore the distance it has travelled. In the case of FRBs, the measured delay cannot be explained by signals travelling within the Milky Way alone, strongly indicating an extragalactic origin. The size of the emission region responsible for FRBs can be deduced from their duration. The most likely sources are compact km-sized objects such as neutron stars or black holes. Apart from their extragalactic origin and their size, not much more is known about the 70 or so FRBs that have been detected so far. Theories about their origin range from the mundane, such as pulsar or black-hole emission, to the spectacular – such as neutron stars travelling through asteroid belts or FRBs being messages from extraterrestrials. For one particular FRB, however, its location was precisely measured and found to coincide with a faint unknown radio source within a dwarf galaxy. This shows clearly that the FRB was extragalactic. 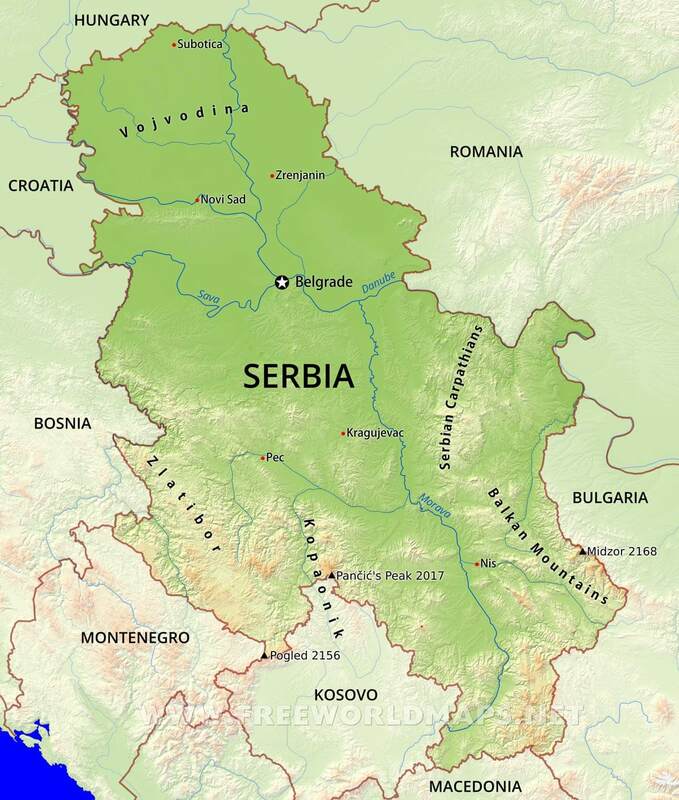 The reason this FRB could be localised is that it was one of several to come from the same source, allowing more detailed studies and long-term observations. For a while, it was the only FRB found to do so, earning it the title “The Repeater”. But the recent detection by CHIME has now doubled the number of such sources. The detection of repeater FRBs could be seen as evidence that FRBs are not the result of a cataclysmic event, since the source must survive in order to repeat. However, another interpretation is that there are actually two classes of FRBs: those that repeat and those that come from cataclysmic events. 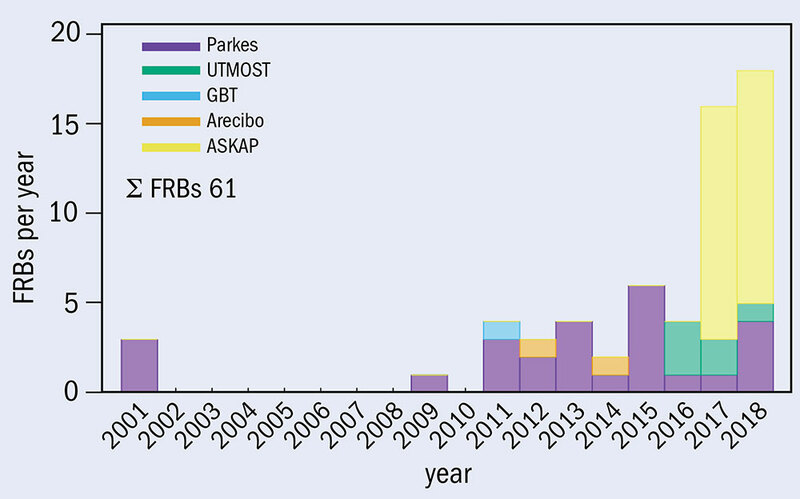 Until recently the number of theories on the origin of FRBs outnumbered the number of detected FRBs, showing how difficult it is to constrain theoretical models based on the available data. Looking at the experience of a similar field – that of gamma-ray burst (GRB) research, which aims to explain bright flashes of gamma rays discovered during the 1960s – an increase in the number of detections and searches for counterparts in other wavelengths or in gravitational waves will enable quick progress. As the number of detected GRBs started to go into the thousands, the number of theories (which initially also included those with extraterrestrial origins) decreased rapidly to a handful. The start of data taking by ASKAP and the increasing sensitivity of CHIME means we can look forward to an exponential growth of the number of detected FRBs, and an exponential decrease in the number of theories on their origin. 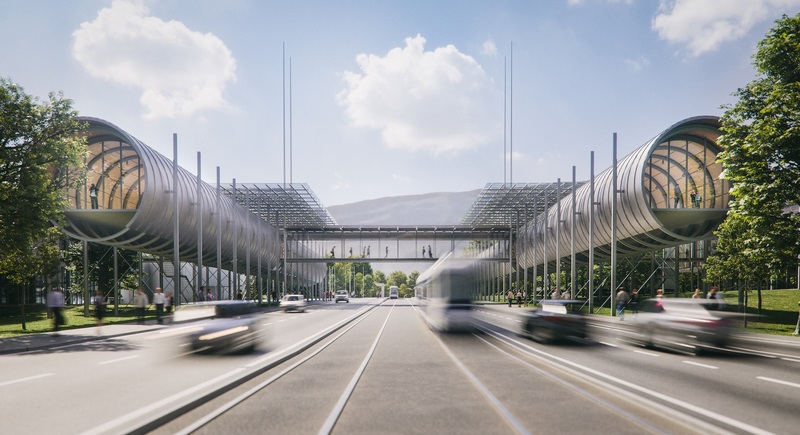 CHIME/FRB Collaboration 2019 Nature https://www.nature.com/articles/s41586-018-0867-7. Today, the Future Circular Collider (FCC) collaboration submitted its Conceptual Design Report (CDR) for publication, a four-volume document that presents the different options for a large circular collider of the future. It showcases the great physics opportunities offered by machines of unprecedented energy and intensity and describes the technical challenges, cost and schedule for realisation.